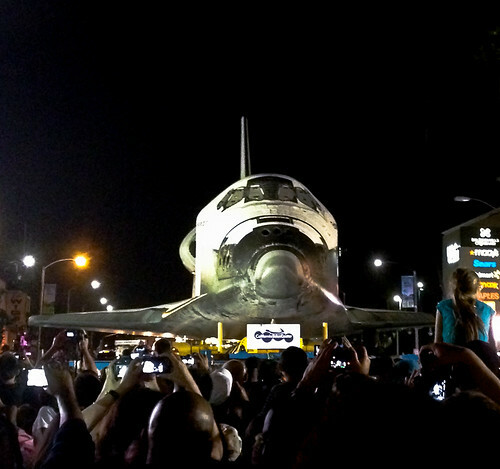 iPhone Shot – Shuttle Endeavour – Los Angeles, CA, a photo by NatashaBishop on Flickr. Did you know the Endeavor’s route included a long bit along Los Angeles’ MLK? Love these shots. Redefining Art, a photo by Jeff Willams-Gifford on Flickr. I spotted this up on a building on MLK Blvd. this morning while driving during work. As soon as I got off this afternoon, I headed back to get a few shots before it’s goes away. The “art” part has been there for at least a year. The addition of the “F” is quite recent. Too funny not to post. I do love Portland.